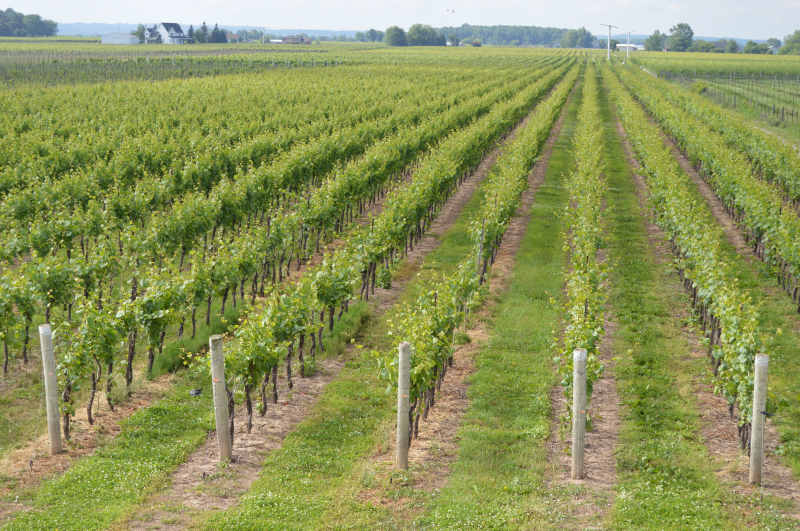 The wine industry in Canada has been growing steadily over time and Nova Scotia is an important region for growth. In our province, development in the wine sector has been increasing rapidly; since the beginning of 2000, many wineries have appeared on the scene with different varieties and wine styles. 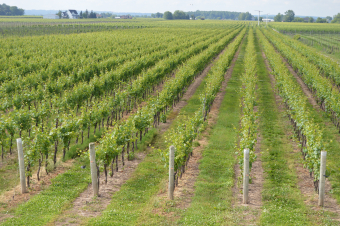 The main goal of the Terroir Analysis of the Nova Scotia Wine Growing Region 2017 project is to determine which varieties are more suitable for our environmental conditions, specifically for the targeted wine styles. Also, the project seeks areas where improved management decisions in the short and long term will make Nova Scotia more competitive in the market place. Overall, the goal is to make the industry more efficient and profitable. This project is funded by the provincial government of Nova Scotia and will have a term of three years to evaluate the evolution of different recommendations in management. This report involves the results of year one only.This project has been developed by Perennia Food and Agriculture Inc. with two French consultants, Cecilia Grallert and Rodrigo Laytte. Both consultants are Agricultural Engineers and Agrarian Economists, plus have completed postgraduate studies in Master of Science in Viticulture and Enology from the prestigious university Ecole Nationale Superieure d’Agronomie (now called Montpellier SupAgro) in Montpellier, France. Additionally, they possess the Diplôme Nationale d’Œnologue (National Diploma of Winemaking). With extensive experience in Austria (Hillinger Winery and Schloss Halbturn), France (Château Margaux, Château Palmer, Château Latour and Château Kirwan), Chile (Vina Veramonte and Vina De Martino), Mexico (Sonora Innova and Uvas de Altura), etc. their recommendations and experience will be fundamental to this project.